BAY POST INTERNET: Will the Floating art sculpture survive state arts funding cuts? Will the Floating art sculpture survive state arts funding cuts? 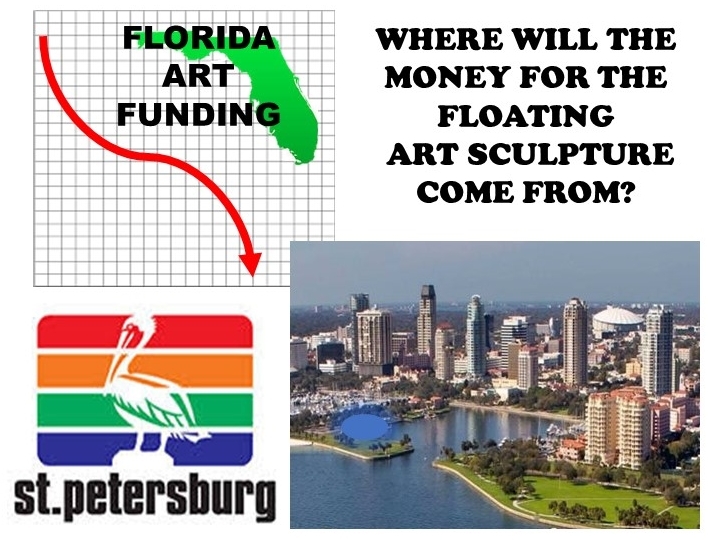 As far as the arts in St. Pete are concerned there are a lot of better ways to spend public art funding. At a recent City Council, meeting a couple of people made impassioned pleas for support of Janet Echelman’s proposed, “floating art structure” for the new Pier and Pier Park. You can get more detail from the Tampa Bay Times, Waveney Ann Moore, What artist Janet Echelman’s Pier District sculpture would look like. And you can check out my recent post Flotsam Jetsam and Floating Art for a slightly different view. There is not enough money in the “public art budget” for the Pier or the uplands project to cover the proposed cost of the floating bag of lights, and it looks like any help from the State is not going to be forthcoming. See Andrew Meacham Times Performing Arts Critic, As Florida dramatically slashes arts funding, theaters and museums scramble. As the art lovers of the city begin to gush over the proposed project “defining St. Petersburg for the world,” City Council may have some tough decisions to make. The whole concept seems to me a bit out of touch with reality, and probably just another way for the artsy to force their view on the rest of us. If the high rollers of the St. Pete art scene really want a large bag of lights floating out in front of the Vinoy, then maybe they should fund it, install it, maintain it, insure it and take responsibility for it. 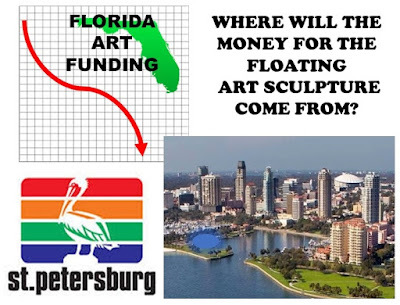 Since local art and our arts community depend to a great degree on donations and reliable public support it seems a bit unseemly to ship all that money out of town. It would also be nice to be able to point to a local artist or artists as the one who created the artwork that will frame the City’s downtown water front, rather than a sign hanging from the bottom of the floating light bag.